Our curriculum is primarily designed to offer participants a broad education & platform that can lead to opportunities as a yoga instructor, private practitioner or mind/body professional. We enthusiastically encourage any practicing yogis to attend this training to explore the depths of yoga from Asana to Pranayama to Svadhaya. If you do not plan to teach, this training will likely shift and transform your practice and life in ways that will challenge and delight you. If your passion is to teach AND deepen your practice, we will offer a dimensional curriculum and help guide you on your personal yogic path of self-discovery. Some topics include: study of Ayurveda, yoga as medicine, modern yogic lifestyle and business of yoga, Yoga Psychology, Philosophy, and study of the Body/Mind relationship. Our goal is to offer an experience that exceeds our students’ expectations. We are proud to bring you an integrative curriculum that surpasses the standards for Yoga Alliance Registration. Chattanooga Yoga School Teacher Training is proudly registered with Yoga Alliance. Welcome to our school's Admission Center! Please use this form to apply for your admission to Chattanooga Yoga School. We need complete and detailed information about you, so make sure you fill out all fields. You will receive an email confirmation when we process your application. Please enter any promotional codes here. Thank you for submitting your application to the Bodha Yoga TT. Please CLICK HERE to make the $350 deposit. Your application will not be reviewed until your deposit has been received. If you are not accepted into the program, your deposit will be refunded immediately. Our 300 Hour Yoga Teacher Training begins 2019! Chattanooga Yoga School’s lead trainers have decades of advanced specialty studies and teaching as well as continued lifelong personal practice and study that will add to the dimension of your experience. Have you built a strong Foundation in Your Yoga Practice and Your Teaching? Are you ready to dive into the next level of your understanding and experience with Yoga? 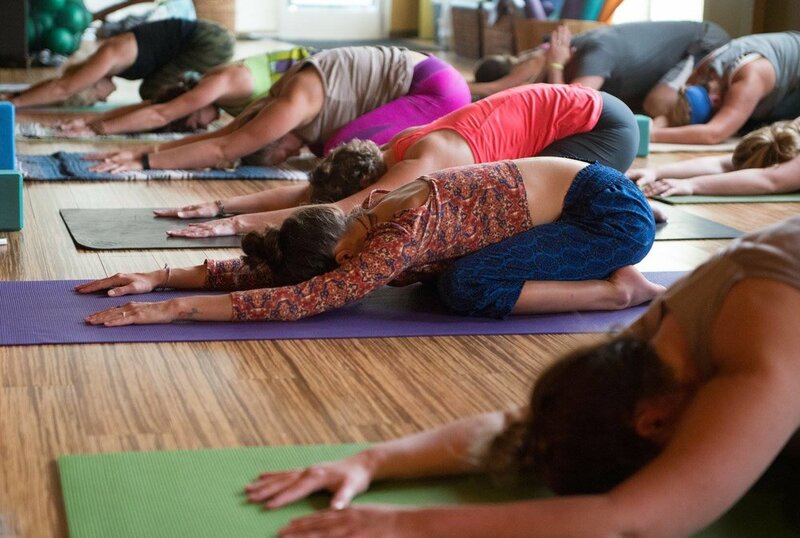 Welcome to Chattanooga Yoga School’s 300-Hour Advanced Yoga Teacher Training Program. We are honored to support and mentor you on a somatic and embodied psychology based yoga journey that brings greater meaning, understanding and embodiment to not only your practice and your teaching, but also to your way of life. Our training is well-rounded with an emphasis on deepening personal embodiment as the basis for developing wisdom and power as a teacher. Integrating Yoga into other medical and healing professions. 30 Practicum hours: Practicum Hours will be noted in each module. Once all above requirements have been met in full, student will send in a $50 Completion Fee to officially graduate from the program and receive a 300 Hour Yoga Alliance Certification. How did you hear about us and what inspired you to choose this program? What are your expectations? Do you have any concerns about your participation in this program? Describe your current state of physical, psychological and spiritual health. Please include any injuries as well as medications. Thank you for submitting your application to the Chattanooga Yoga School. Please CLICK HERE to make the $550 deposit. Madia loves exploring and encouraging the adventure of "the edge" of what awakens you. Guiding you inward towards an intuitive, deep yoga flow that challenges your physical and mental stamina balanced with nurturing spacious openings of your body/mind is the essence of what can be felt in all her classes and her private body/mind sessions. Madia Swicord is Licensed Massage Therapist and has an extensive background in helping people with physical and emotional pain relief. Her passion is to assist someone on their journey to self discovery and awakening to more energy and joy via a variety of ancient and modern mind/body techniques. She has advanced training in Yoga Psychology and utilizes Hakomi Principles of “assisted self-study” that is threaded into her yoga classes and her private sessions. She is dedicated to sharing timeless wisdom techniques for mind-body health, deeper life fulfillment and emotional healing. Working alongside Doctors in the fields of psychiatry and psychology for the past 7 years to support and assist with patients on their path to healing through trauma has been an incredible honor. Madia has over 20 years of professional experience in this holistic field of mind-body healing. She is a Graduate in the Professional Training of Hakomi Mindfulness Experiential Therapy in Asheville, NC. Hakomi is a body-centered psychotherapy that can be experienced as "assisted self-study". Learn more about Madia at Madia's Healing Arts. "I love to incorporate and support a diversity of teaching tools to deepen your understanding of the powerful benefits of yoga. I look to offer a strong, supportive container to explore your process of finding your unique expression"
John is a native Chattanoogan and is a graduate of the McCallie School. He received his undergraduate education at Vanderbilt University and earned his M.D. at the Yale University School of Medicine. He completed residency training in general surgery at the University of Alabama at Birmingham and fellowship training in surgical oncology at the Fox Chase Cancer Center in Philadelphia. He has held faculty positions at Temple University School of Medicine and the University of Tennessee and currently practices general surgery and surgical oncology in Chattanooga. He also serves as the Medical Director of the Wound Healing Center at Memorial Hospital. He began his yoga practice two years ago with Madia Swicord and has experienced its transformative effects from a physical, mental and spiritual standpoint. He has served as faculty at the Chattanooga Yoga School and has taught sessions on the Science of Yoga and Yoga as Medicine to yoga teacher trainees. Long interested in the combination of therapies to treat disease, he seeks to explore the scientific basis of yoga practice and the holistic integration of yoga with traditional medicine to enhance wellness. Maggie moves wholeheartedly towards Well-being. As a wild-at-heart spiritual explorer, she prioritizes self-discipline, curiosity, and radical honesty, as well as her truest love of immersing in nature. Fueled by her lifetime of lessons and formal yoga studies beginning in 2002, she offers mentorship and continued training for yoga teachers, as well as creative personal practices, rituals, and ceremonies for grief, unions of love, and rites of passage.She comes alive most while curating space for transformational experiences and retreats for personal exploration. Think adventure, natural landscapes, good conversation, and a warm cup of tea. Janka Livoncova is an Insight Meditation Teacher, Registered Yoga Teacher (E-RYT 500) and a trained Somatic Movement Educator. She has been a dedicated student and practitioner of meditation and yoga since 1994 and started sharing her practice with others in 2004. Janka has been practicing and studying the dharma for two decades. Initially in the Soto Zen tradition and, since 2007, under the guidance of her mentor, DaeJa Napier. She maintains a daily meditation practice and regularly attends Vipassana retreats with her dharma teachers. A graduate of Spirit Rock Meditation Center’s Community Dharma Leaders Program, Janka leads the Chattanooga Insight Group and co-facilitates Awakening Truth’s Interactive Dharma Calls on Sundays. Janka completed the Mindfulness-Based Stress Reduction in Mind-Body Medicine professional training program under the direction of Dr. Jon Kabat-Zinn and Dr. Saki Santorelli. She has been leading the 8-week Mindfulness-Based Stress Reduction courses and other mindfulness programs at the Center for Mindful Living since they opened in January 2013. Stay updated on all the latest Chattanooga Yoga School happenings throughout the year by signing up.